Eazy-ECPT.com / Ruthless Propaganda about to drop some MAJOR NEWS SOON! This could be the BIGGEST EAZY-E NEWS in 23 YEARS!!!. I need all Wright family / Ruthless family, OG fans & new EAZY-E fans to spread the word by reposting. 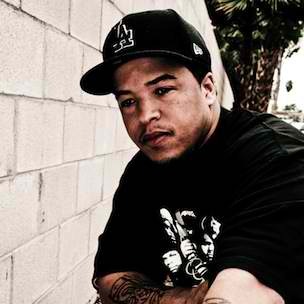 In a statement sent exclusively to RuthlessFamily.com, BG Knocc Out tells us his reason for quitting the music business. He also tells us what will happen to the album he was set to release “Nutty By Nature”. Read it for yourself, straight from BG Knocc Out! RUTHLESSFAMILY.COM EXCLUSIVE. PLEASE REFFERENCE THIS SITE WHEN USING THIS CONTENT. I left music after I made Hajj to Makkah as religious obligation. For Muslims, once u complete this particular pillar of your faith and it’s accepted by God, you become sinless. So after being cleansed and renewed you have to make drastic change with your life. So that’s what I did. Plus as someone who believes and fears God, I know that if I leave a legacy of violent content, that whoever follows and acts on my words, I receive my sins as well as their sins on Judgement Day. Fearing this, I decided to walk away. Some people say, “well u can do positive music”, “give the people a message”, this and that. But it isn’t realistic for. The industry is being ran by people who do not intend well. I can’t be a part of something like that. I can’t be fake. And that’s what the music industry demands of musicians these days. Every one in it in my opinion, especially today just isn’t Real. And as you all know the music that I stood behind was totally opposite. My friend and mentor, Eazy, was one of the realist dudes to ever grace that industry. So coming behind him I could not do any less than he did. And now with his demise and brand of realism dying out with the 90’s, our brand of hip hop is forever stamped in history at this point. It’s like how oldies is today, just classical. Nutty by Nature is not coming out. I have in my personal archives where it will remain, if pleases God. For all the reasons I stated previously, it’s just what it is. The only reason, if it pleases God, that I will ever remain in the spotlight is as a speaker on real topics and issues concerning life. There is no amount of money that can be offered for me to ever return to music as a musician. It’s absolute No. But because it is a part of who I am I won’t just turn my back on the people. So if I can help with my story in some way, I will. Hope to be making a documentary on my life real soon. Also writing a book if it pleases God. And just getting into some type of business in order to leave a legacy for my children. But that’s it. For all my fans, I know it may be hard to understand why I am doing such a drastic thing. But it’s something I already knew that eventually would happen. Coming home after 10 years in prison, I truly only stepped back into the game because I felt after leaving prison, it was one of my only options. And by doing that I began to do things I wasn’t proud of because I knew better. When u really believe in God u don’t play with that. And for some reason, Islam gives u a perspective on God like no other way of life that I know of. It builds u up as an individual. It’s very unique that way. It’s something very special about it because nothing else on God’s green earth ever made me wanna change and actually take the steps towards doing it. And it’s all on my own effort, not some organisation forcing me to, or watching me like guard dogs. It’s just what it put inside me. I can’t even truly explain it. I just know it’s special. And I seen it do the same for some the craziest ex-gang members across Los Angeles and Compton, California. People who I know personally and never thought in a million years, would change their ways. It has also brought me together with people who were once my enemies. So u know it must be special. Nothing else on earth could accomplish this feat. 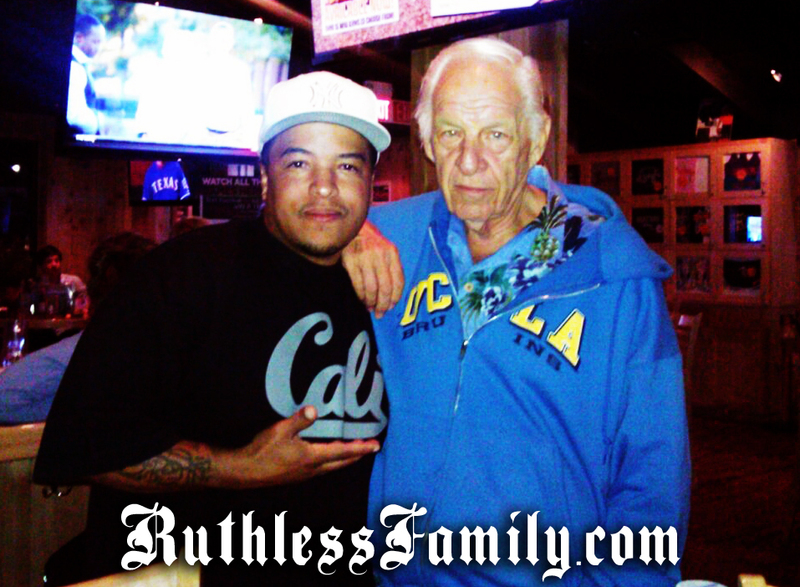 A photograph of BG Knocc Out and Jerry Heller has recently surfaced via facebook. In the past few months BG Knocc Out has dissed and mentioned Jerry Heller in songs and interviews. Hopefully they got to talk and resolved some of the myths and issues that BG Knocc Out had with Heller. JOIN US Friday September 7th, 2012 as Eazy-ECPT.com / Ruthless Propaganda will be throwing a Birthday Tribute show for the Godfather of Gangsta Rap Eric ( Eazy-E ) Wright’s 48th Birthday. We will also be having special performances by Eazy-E’s children: Eazy-E3 and Yung Eazy.